Establishments selling gold are subject to certain obligations relating to anti-money laundering and the financing of terrorism as set out in Order No. 2009-104 dated 30 January 2009 and in the 91/308/EEC Directive dated 10 June 1991 and, where applicable, the restrictions on precious metals, and the provisions applicable to financial institutions. Article 298 (o) (E) of the French General Tax Code makes it compulsory for all taxable persons carrying out transactions involving investment gold to keep – in order to verify their accounts – documents enabling their clients to be identified for a period of six years for all transactions involving a unit amount exceeding €15,000. This obligation also concerns private agreement and public sales. This obligation does not take any particular form i.e. the identity of the customers can be established by any means. However, for the sake of simplification, taxable persons who are already obliged to keep the register referred to in Article 537 of the French General Tax Code may fulfil the aforementioned obligation by producing said register. This applies to bullion with over 995 parts per 1000 as well as all legal tender coins minted after 1800. 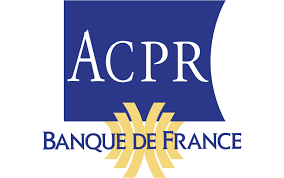 The law n° 2011-900 dated 29 July 2011 amending the finance law in 2011 modifies the last point 1 of article L112-6 of the French Monetary Code. It was published in the Journal Officiel on 30 July 2011. As a result, since 1 August 2011, any transaction relating to the purchase of retail gold must be made by crossed check, bank transfer or credit card. The threshold of 500 Euros limiting the authorisation of cash payments by traders and non-traders is therefore removed.